Property Management is our only business. 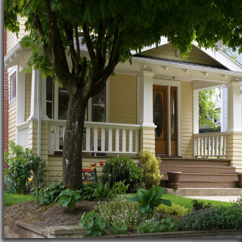 We specialize in residential property management with a primary focus on single family homes & small plexes. Venture Dynamics # 1 priority is providing you the greatest net return while maintaining and enhancing the value of your rental property. Experience personalized property management service with professional results. Availability. Nine times out of ten a real person will answer our telephone. If you do receive voice mail, your call will be returned promptly by a licensed property manager. Reliability. With a proven track record and an expert knowledge of today's market, Venture Dynamics is dedicated to providing excellent property management services for your investment property. Separation. Don't become emotionally involved. The core of our business is tenant relations. Sit back, relax and let us handle the day to day challenges of managing your rental property. Accountability. Your rental property will be placed in the hands of a licensed real estate property manager who will personally attend to every aspect of managing your single family home or small plex. Service. With open communication as the key, Venture Dynamics is able to tailor its property management style to the individual needs of each client and each rental property. We're not the biggest... just the best. Contact us today. Areas we provide property management services include: NW Portland, SW Portland, Lake Oswego, West Linn, Tigard, Tualatin, Sherwood, Wilsonville, Beaverton, Hillsdale, Multnomah Village, Raleigh Hills, Cedar Mill, Bethany, East Morland, Sellwood, Milwaukie, Oregon City. Areas we provide property management services by zip code include: 97027, 97034, 97035, 97045, 97062, 97068, 97070, 97140, 97201, 97202, 97219, 97221, 97222, 97223, 97224, 97225, 97229, 97239, 97267.